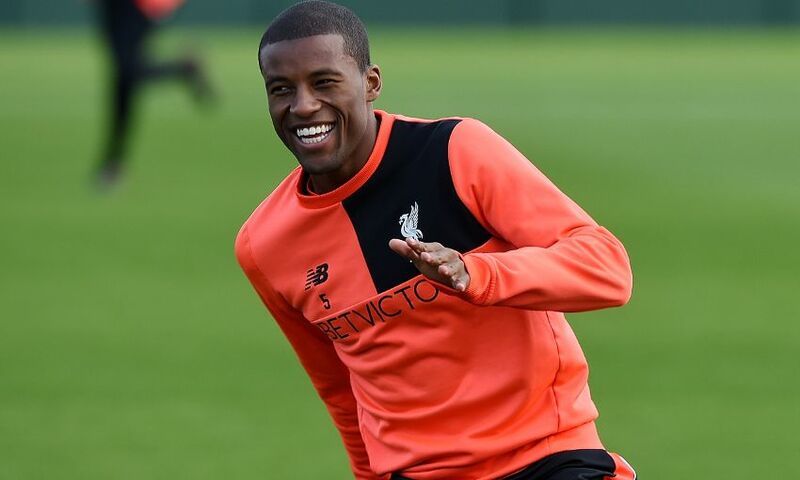 A trademark smile suddenly appears on Georginio Wijnaldum's face. It’s the morning after he has helped Liverpool progress to the quarter-finals of the EFL Cup with a 2-1 victory over Tottenham Hotspur at Anfield. And midway through a post-match chat with Liverpoolfc.com, the question is raised of whether the Reds can begin to seriously consider the possibility of claiming the trophy. “It seems like it’s a real chance,” the Dutchman admits. Wijnaldum was speaking before Wednesday night’s last-eight draw paired Liverpool with Championship side Leeds United in a tie to be played at Anfield in late November. But even without knowing the side’s next opponents at that stage, the summer signing’s approach to the competition was set in stone. He said: “It doesn’t matter because if you want to win the cup, you have to beat everyone. Jürgen Klopp changed his entire line-up for the clash with Spurs on Tuesday night. The strength in depth at the manager’s disposal meant he could faithfully make 11 changes to the team that had beaten West Bromwich Albion in the Premier League last weekend. And his trust was rewarded, with Daniel Sturridge on target twice in a game that might have involved more Reds goals but for the form of visiting goalkeeper Michel Vorm. “It was really impressive,” Wijnaldum reflected. “We must be fair – Tottenham were also playing with a lot of young players. But we have a good squad with a lot of quality. The players showed that on Tuesday. On the night, the No.5 was part of a diamond midfield with three players still finding their feet at the top level in Ovie Ejaria, Marko Grujic and Kevin Stewart. And Wijnaldum paid the trio a big compliment. “You see a lot of young players when they come into the first team and play a big game, they are nervous and you don’t see their quality immediately,” he added. “I don’t know if they were nervous but it didn’t seem like it. They just played their game and played how they train.